Instead of issuing low level certificates it mistakenly gave out what amounted to "master keys" which could have allowed a bogus site to pretend it was the legitimate version without triggering a warning. "An intermediate certificate is essentially a master key that can create certificates for any domain name," explained security analyst Chester Wisniewski from Sophos in a blogpost about the security lapse. "These certificates could be used to impersonate any website to any browser without the end user being alerted that anything is wrong." The certificates are important, he said, because secure use of web shops and other services revolve around interaction between the "master keys" and the lower level security credentials. The lapse was spotted when automatic checks built into Google's Chrome browser noticed someone was using the program with an unauthorised certificate for the "*.google.com" domain. The danger would have been that they could then have staged a man-in-the middle attack. 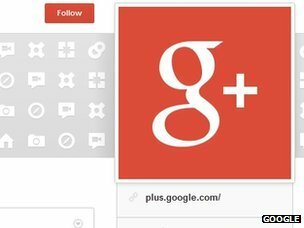 This would have involved them relaying targeted users' communications to the real Google services and passing on the responses. By doing this they could have eavesdropped on potentially sensitive messages. "It is really time we move on from this 20-year-old, poorly implemented system," wrote Mr Wisniewski. "It doesn't need to be perfect to beat what we have."